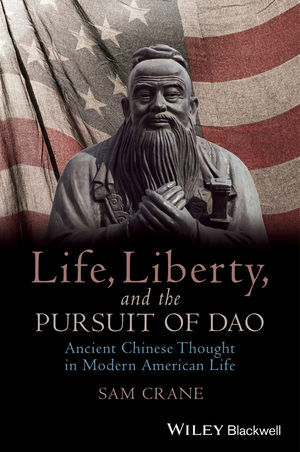 This highly original work introduces the ideas and arguments of the ancient Chinese philosophies of Confucianism and Daoism to some of the most intractable social issues of modern American life, including abortion, gay marriage, and assisted suicide. Sam Crane is Professor of Political Science and Chair of the Department of Political Science at Williams College, USA. Fluent in Mandarin, which he began learning while researching his doctoral thesis in the 1980s, he first visited China in 1983, and is a former faculty member of the John Hopkins academic campus in Nanjing. The author of The Political Economy of China’s Special Economic Zones (1990), The Theoretical Evolution of International Political Economy (1991), and the highly personal Aidan’s Way: The Story of a Boy’s Life and a Father’s Journey (2003), about life with his severely disabled son, Crane has long been fascinated by ancient Chinese philosophy, particularly the classical texts of the pre-imperial era.